When we go out to eat, I always order fish cakes if they're on the menu. There's usually enough to share and they're a nice start to the meal especially if you're hungry and can't wait for the main course to arrive. 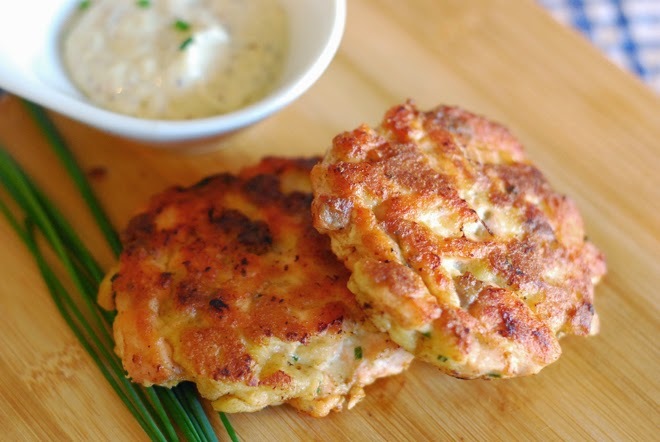 I've been on the hunt for a good fish cake recipe and this one is going in the files. It satisfied even HandyMan who claims he doesn't like salmon but gobbled up a handful of these. Mix together all ingredients except olive oil. Season with black pepper and form into 4 cakes (4 inches in diameter). Heat oil in a 12-inch heavy nonstick skillet over medium-high heat. 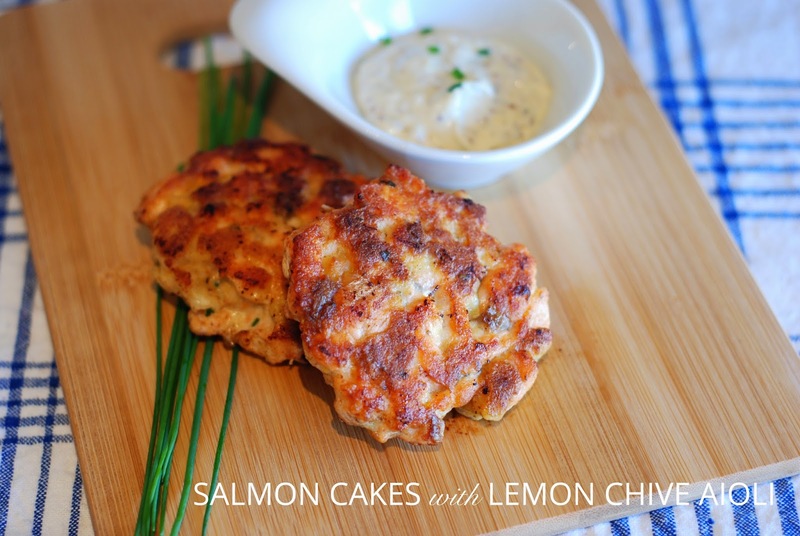 Cook salmon cakes, turning over once, until golden and just cooked through, 6 to 7 minutes total. In a small bowl, mix all ingredients together. Can be made ahead, covered and refrigerated for up to two days.